The “Wieniawski” takes its name from its most illustrious owner, the famous Polish virtuoso and composer Henryk Wieniawski (1835-1880). Wieniawski owned several instruments during his career, including at least four Stradivari violins, but he favored the Guarneri del Gesù later in life, just as many other notable artists have preferred Guarneri instruments late in their careers. The “Wieniawski” is a full-proportioned example of the maker’s work. It resembles the “Ysaÿe” from two years before but is slightly larger and more rugged in appearance. The “Wieniawski” passed through the firm of Caressa & Français in 1916 and was sold by Lyon & Healy of Chicago in 1918 to a Mr. Zamuslin. It was then acquired by the American collector John Hudson Bennett, whose collection was sold at auction in 1932. 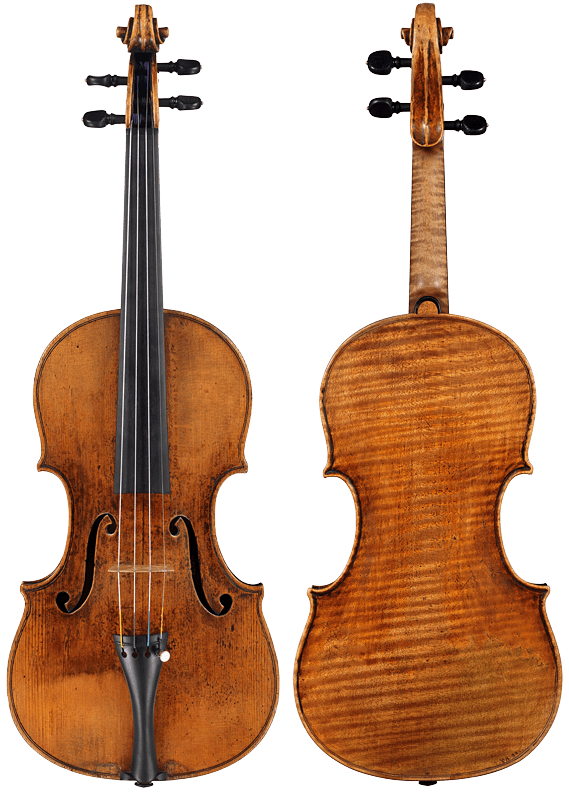 In 1948, Emil Herrmann sold the violin to J. T. De Blois-Wack, and then in 1957 the violin was sold by the Chicago firm Kenneth Warren & Son to Al Duman, an active amateur violinist in the Chicago area. After Mr. Duman’s death in 1992, the violin was acquired by Bein & Fushi and later placed with its current owner who has generously lent the “Wieniawski” to accomplished young artists, including Kyoko Takezawa and Siqing Lu in association with The Stradivari Society®. The brilliant virtuoso Paul Huang is the current recipient.